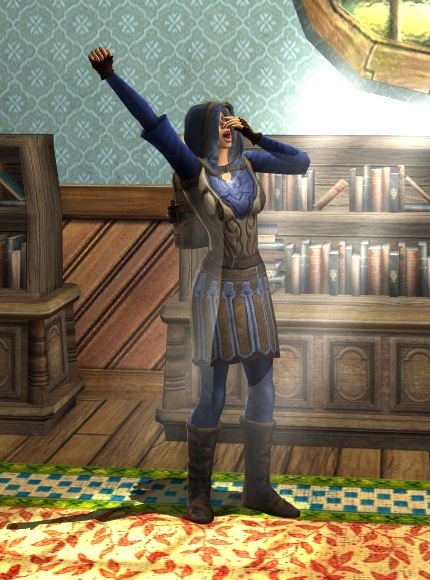 Kendry is an excitable, cheerful, egotistical scholar from Trestlebridge who gained a lifelong passion the first time she saw Arnorian heraldry on ruined walls. She makes a point of visiting libraries and record-rooms in Bree-land and the Shire (such as the top floor of the Mathom-house, pictured here) whenever possible. I tend to choose thematic colors for my characters. Blue suits Kendry well, and her practical clothes give her plenty of room for movement. While the Rise of Isengard cosmetics are my current go-to pieces, I promise I’ll post some low-level outfits as well. The Map-maker’s Travel Pack was an absolute must, considering the character’s scholarly nature. Best backpack in the game, as far as I'm concerned. 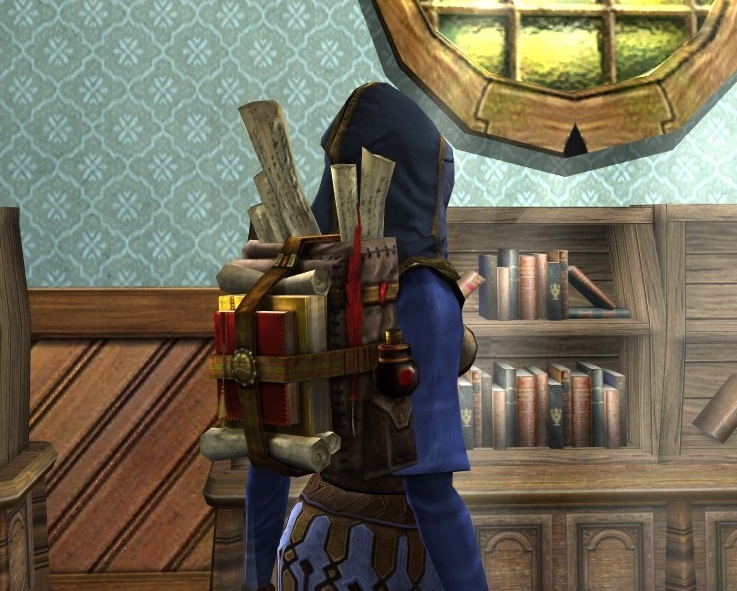 Though I was amused to see a hobbit wearing the Fireworks backpack and smoking a pipe. Hobbit flambe! I love this skirt but had never tried it in blue colors. 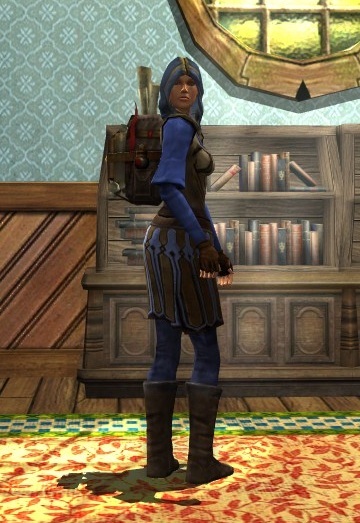 And the light boots are my favourite ones from all the Dunland quest rewwards and I use them a lot. A really nice looking scholar. Those boots rule. I use those and the Traveler’s Hood pretty much all the time.